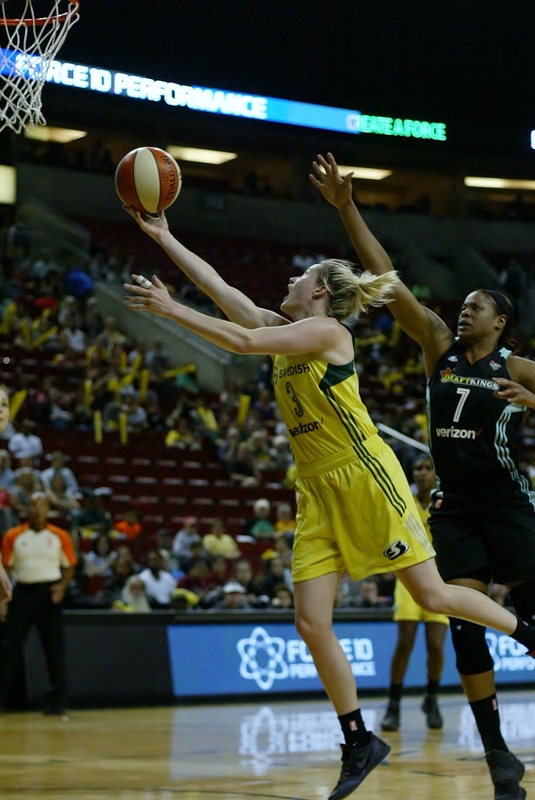 The WNBA Seattle Storm started their five-game homestand last night with a 79-70 loss to the New York Liberty at KeyArena in Seattle. The Storm will play at home up to the WNBA All-Star game scheduled on July 22nd at KeyArena. But the Storm came up against a Liberty team that was seeking to end a three-game losing streak and New York got the job done with center Tina Charles leading the way. Charles scored 29 points for the Liberty and pulled down 12 rebounds as she helped her team to keep Seattle’s offense to a 37.5 percent shooting, their worst of the season. Seattle will look to get back into the win column as they face off with WNBA defending champions Los Angeles Sparks in the team’s annual Breast Cancer Awareness game at 6 pm on Saturday, July 8th at KeyArena.